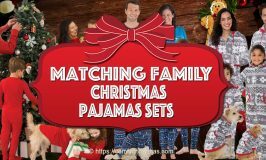 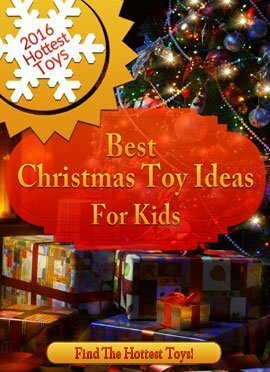 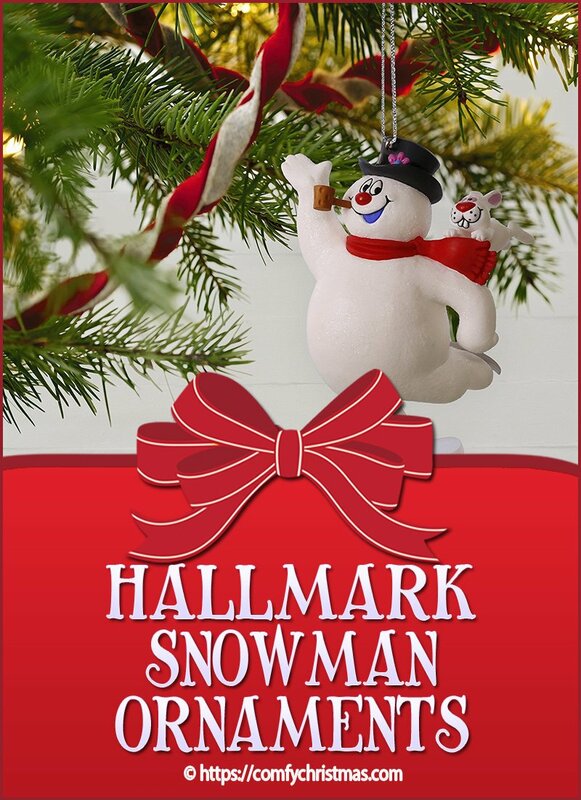 Are you looking for Hallmark Snowman Ornaments? 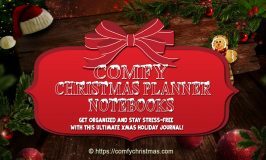 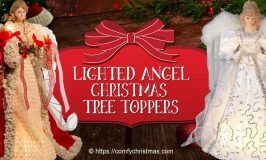 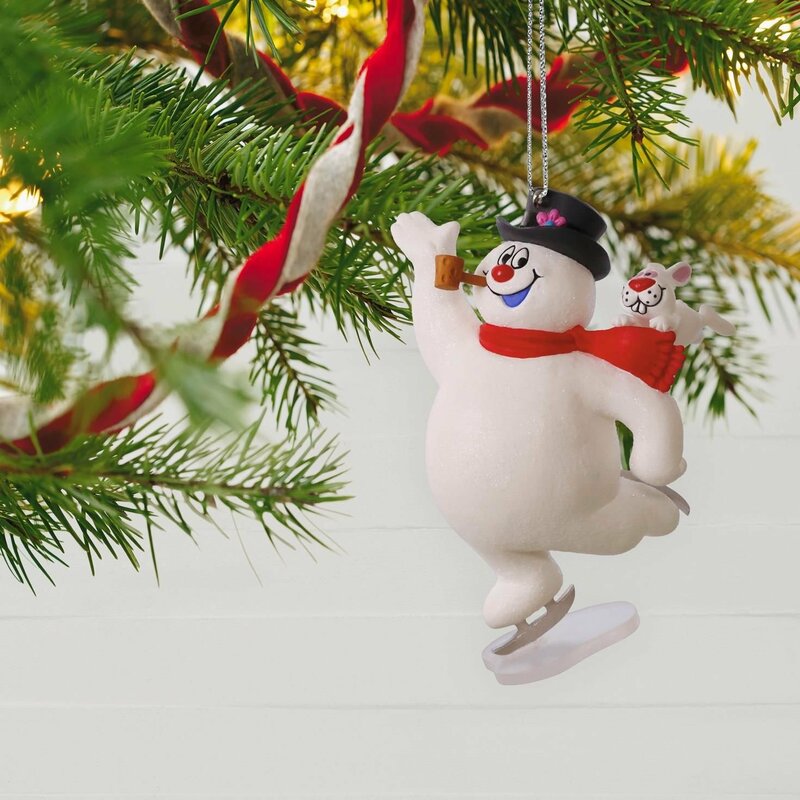 You’ll love these super cute snowman Christmas tree ornaments, so if you plan on buying Hallmark Snowman Ornaments for your tree you’ll find plenty of ideas on this page. 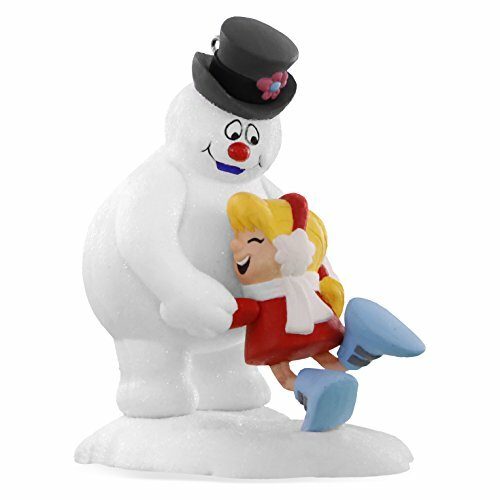 This Snowman Hallmark Keepsake Ornament measures 1.7 inches by 3.3 inches by 1.7 inches and comes in a 2.9 inch by 5 inch by 2.5 inch gift box. 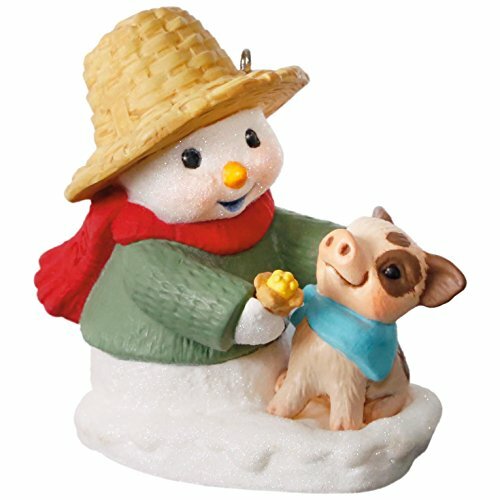 This Benny M. Merrymaker Ornament is made of porcelain. 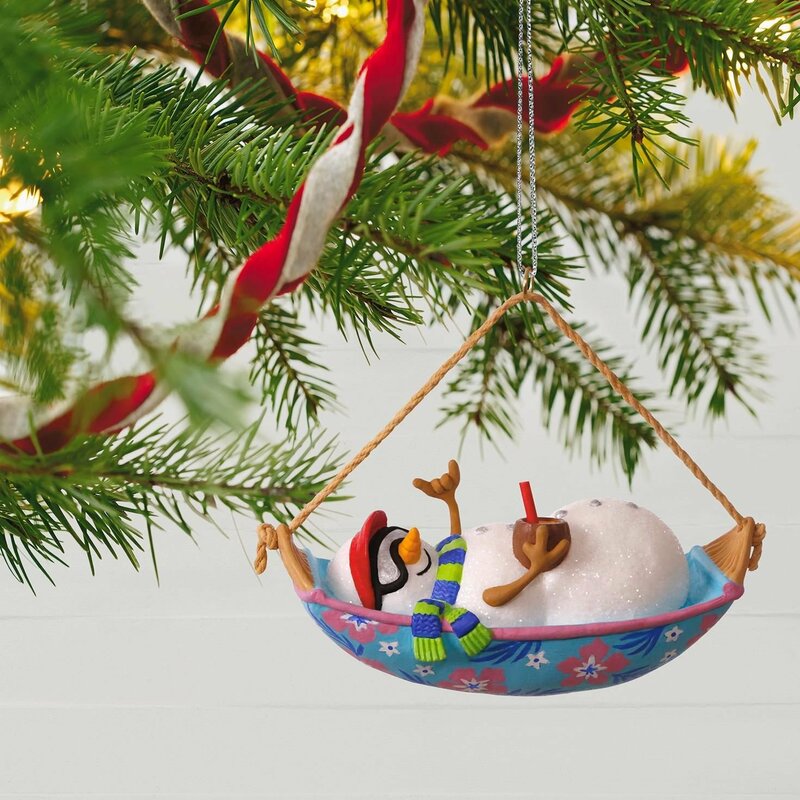 This tropical Snowman Christmas ornament depicts the perfect day at the beach. 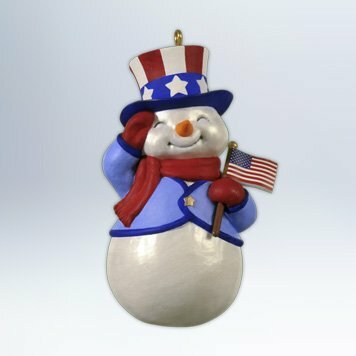 This snowman is so cute with his visor and sunglasses on, one branch holding a coconut drink cup while the other is giving a Hawaiian greeting. 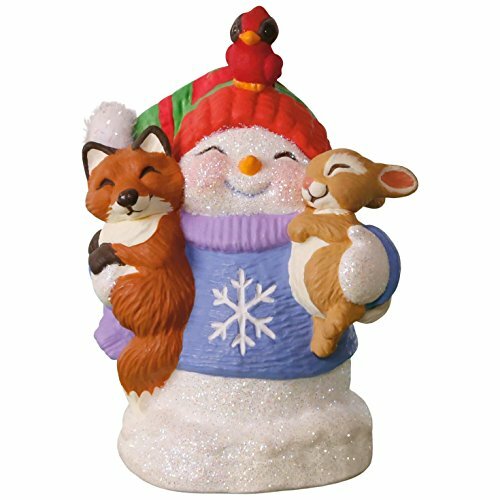 Press button to hear music from “Mele Kalikimaka” performed by the Blue Hawaiians. 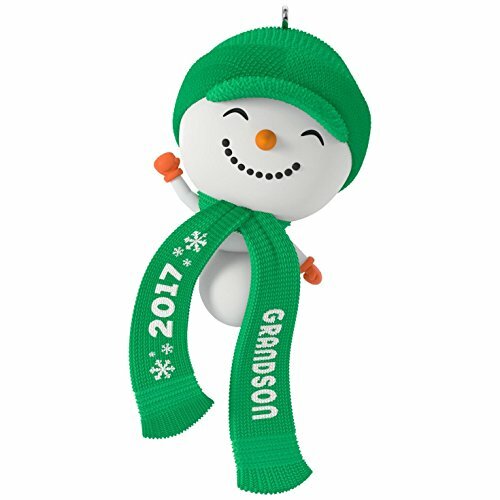 This Keepsake Snowman Hallmark Ornament measures 4 inches by 3.5 inches by 1.6 inches and comes in a 2.9 inch by 5 inch by 2.5 inch gift box. 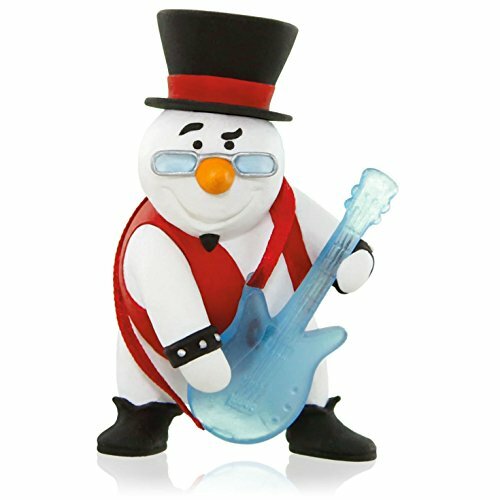 This Magic Snowman Sound ornament is made of plastic and plays music. 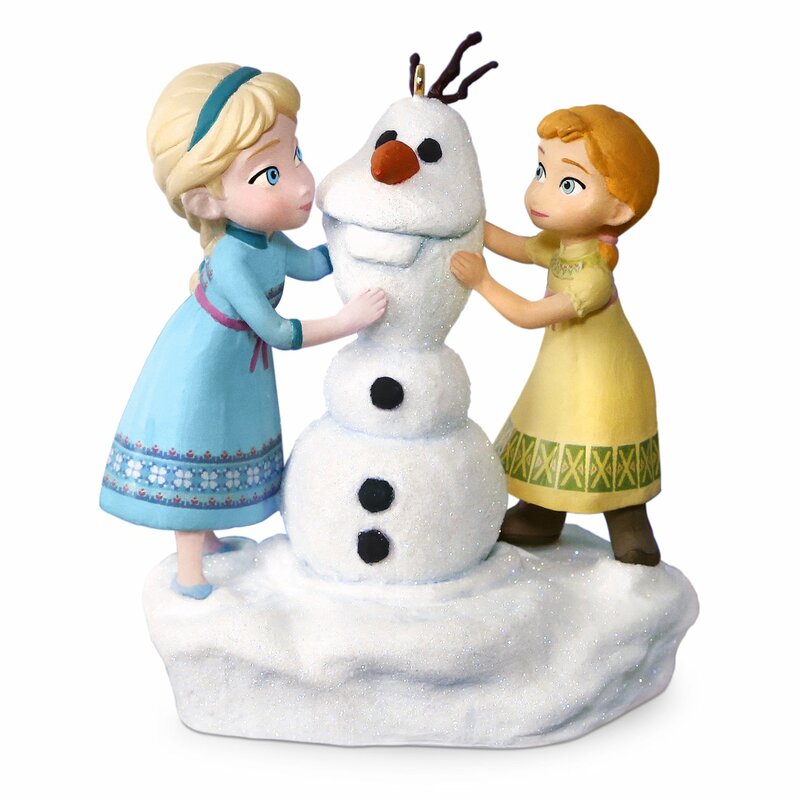 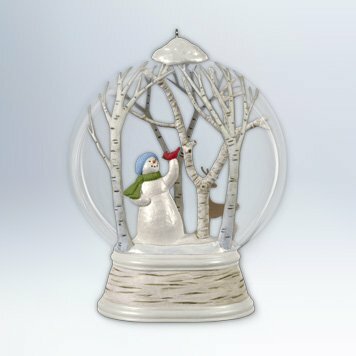 This is a Hallmark 2018 Let’s Build A Snowman Collector’s Club Ornament. 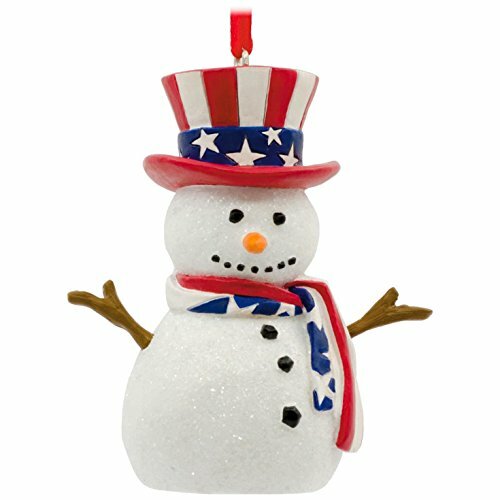 Do you have a patriotic-themed ornament collection? 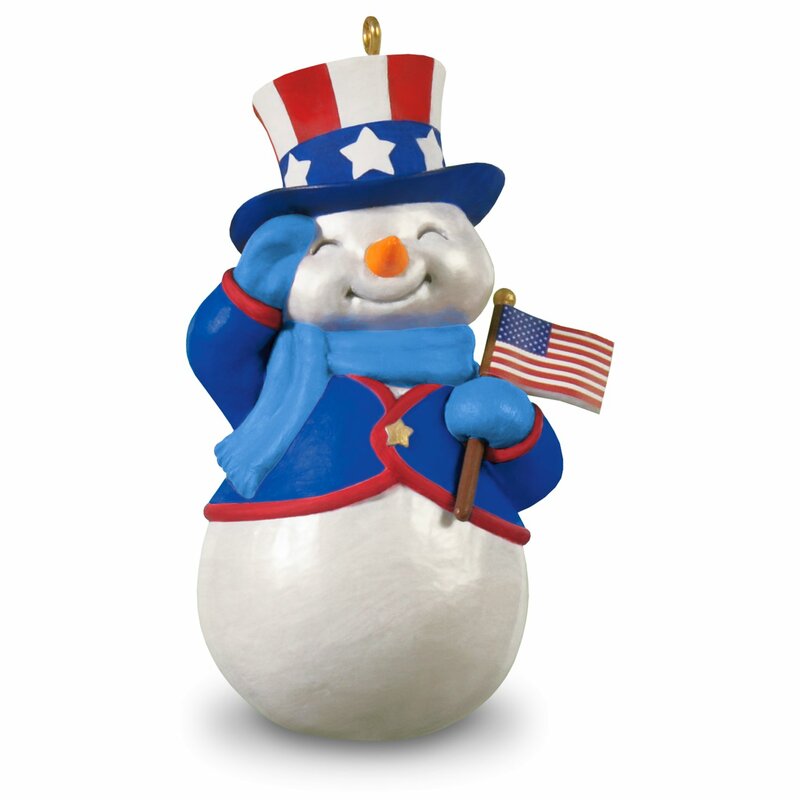 This Keepsake Hallmark Snowman ornaments makes a wonderful addition to your patriotic collection. 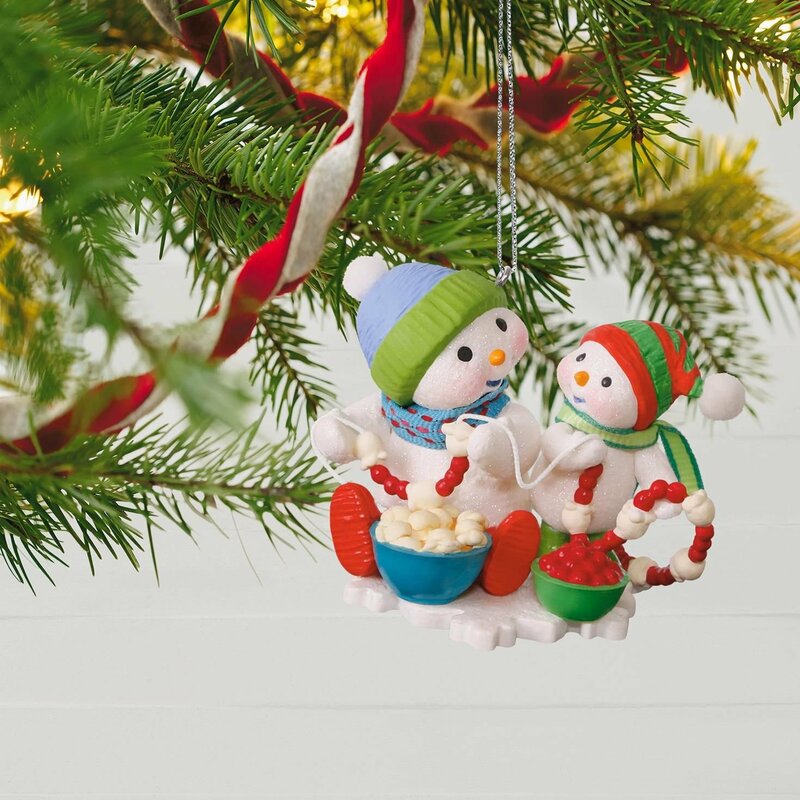 This Hallmark snowman ornament is the the 10th ornament from the Making Memories series and celebrates the holiday tradition of stringing popcorn together to make garland for the tree. 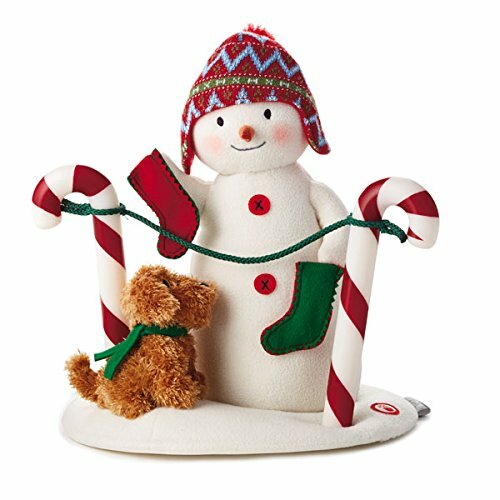 This Keepsake Hallmark Snowman Ornament measures 2.7 inches by 2.1 inches by 2.1 inches and comes in a 2.9 inch by 5 inch by 2.5inch gift box. 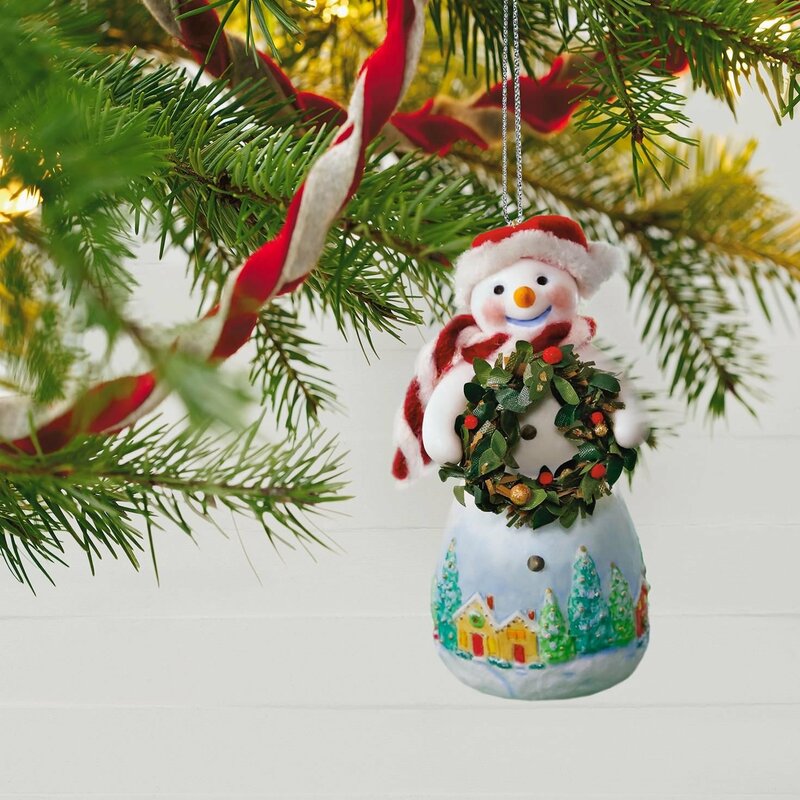 This Snowman Ornament is made of plastic with fabric accents. 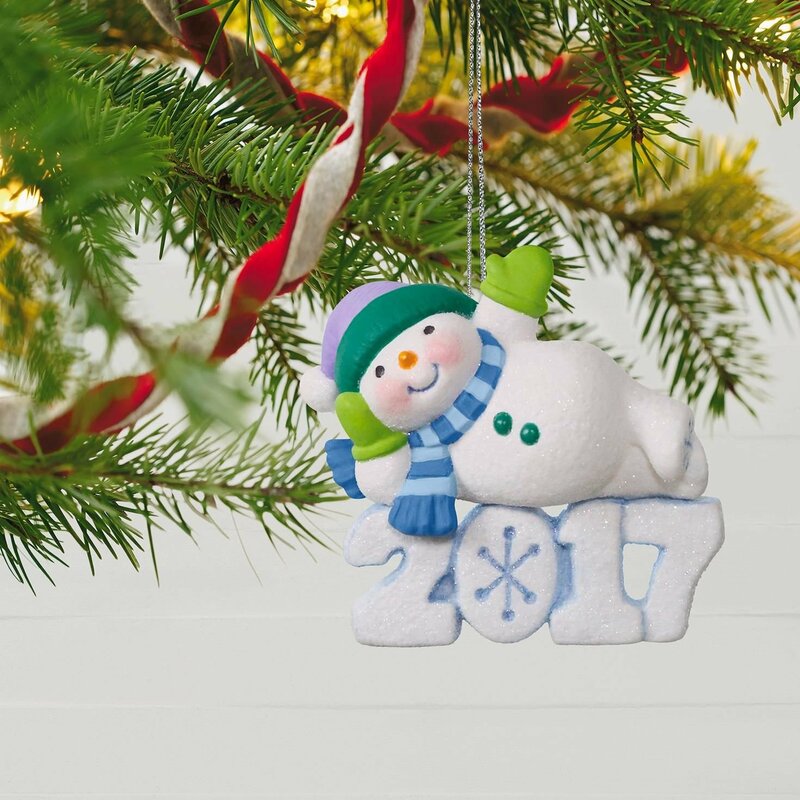 This Keepsake Hallmark snowman ornament 2017 Frosty Fun Decade Lounging Snowman is a Dated Christmas Ornament. 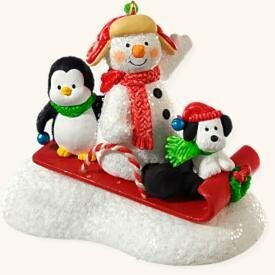 This ornament measures 2.6 inches by 2.4 inches by 1.2 inches and comes in a 2.9 inch by 4 inch by 1.7 inch gift box. 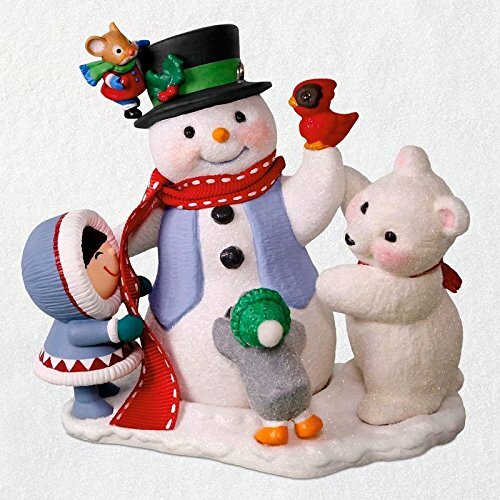 This cheery Snowman Christmas ornament features a jolly snowman with his corn cob pipe, black top hat and red winter scarf while ice skating with his rabbit friend, Hocus Pocus, on his shoulder. 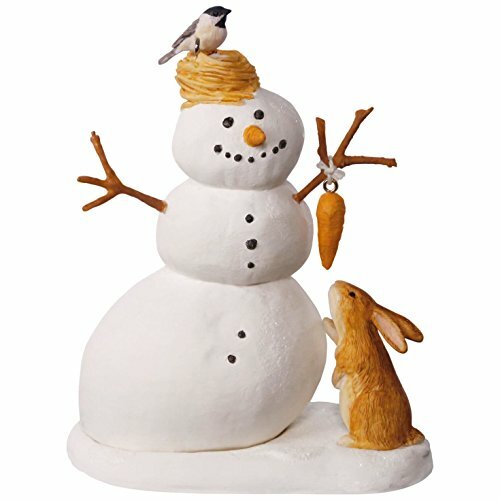 He measures 2.5 inches by 3.7 inches by 2.1 inches and comes in a 2.9 inches by 5 inches by 2.5 inches gift box. 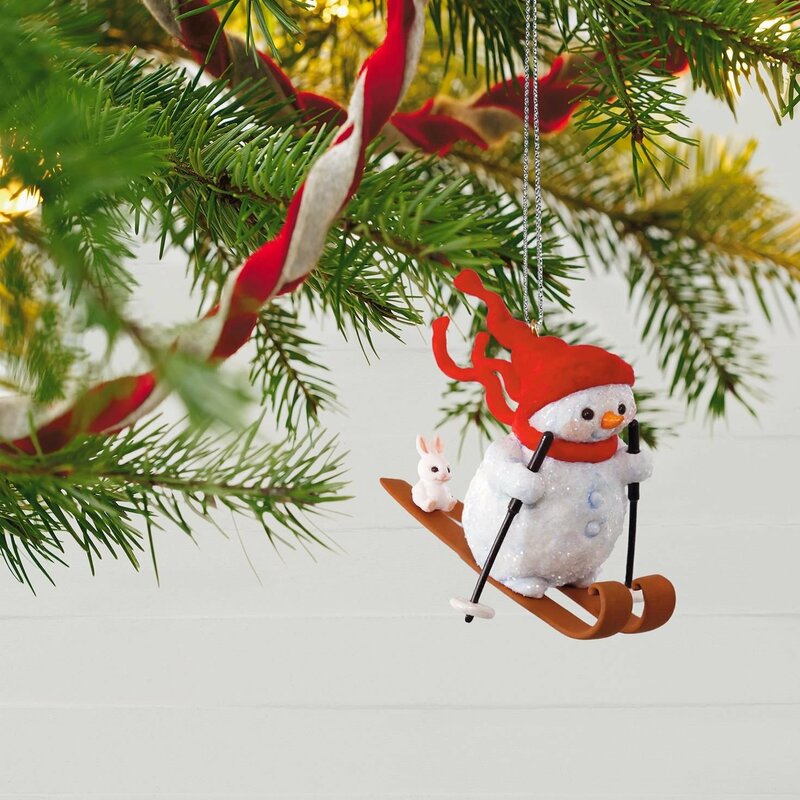 This glittery, skiing snowman Christmas ornament comes with a red winter hat and scarf blowing behind this snowman has his poles in hand, while a bunny rabbit pal rides on the skis with him. 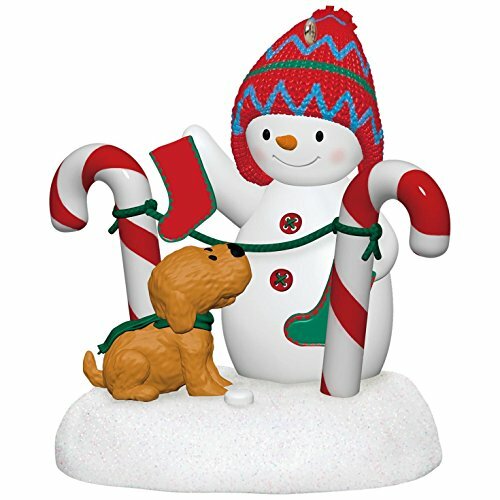 This Keepsake Hallmark Snowman Ornament measures 2.5 inches by 2.7 inches by 2.5 inches and comes in a 2.9 inches by 4 inches by 2.2 inch gift box. 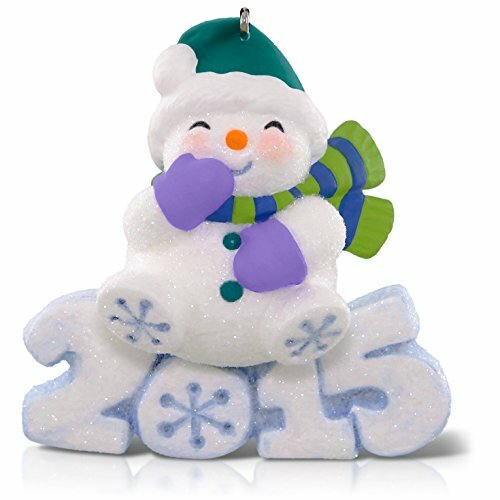 This adorable Snowman Ornament is made of plastic. 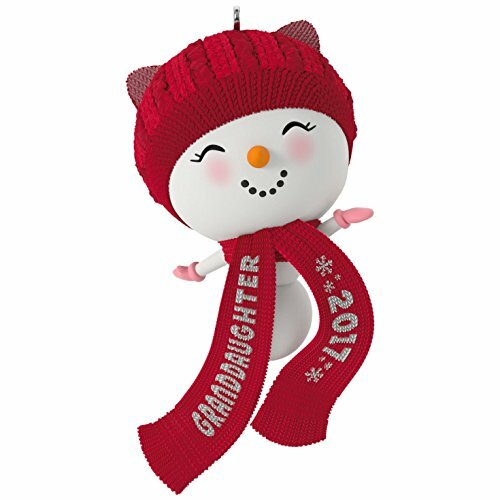 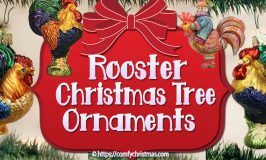 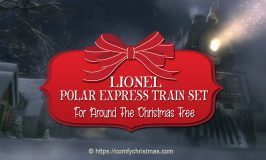 Be Sure To CHECK OUT Our Pages of other Christmas Ornaments ! 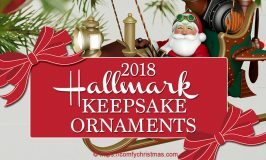 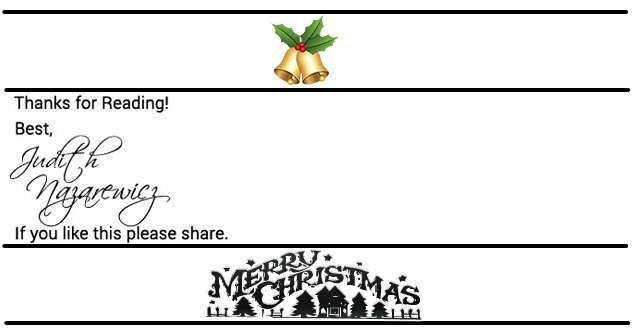 We hope you enjoyed this page on Hallmark Snowman Ornaments and be sure to check out some of our other decorating pages. 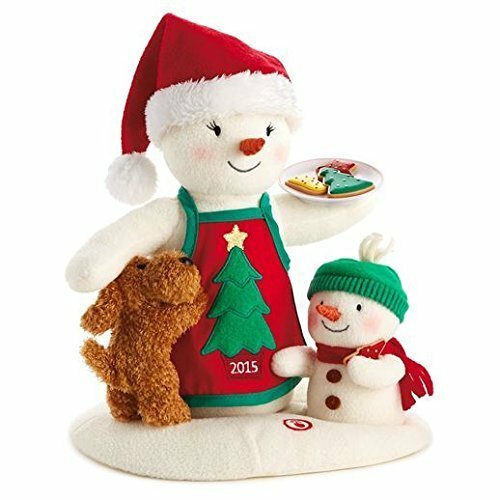 If you like these Hallmark Snowman Ornaments you might also like our other pages of Snowman Themed Christmas Decorations.